DJ Kemit Teams Up w/ Tasha Larae. Terrance Downs and Josh Milan to Bring Us Together! DJ Kemit divides his time between DJing, music production and being a family man. Pulling together a who's who of soul, funk and R&B talent for his debut album, EVERLASTING, would have been a feat for any other producer. But not for KEMIT. He nabbed the heavy-hitters: Grammy-nominated vocalist ERRO, aka Eric Roberson; hip-hop super crew Hieroglyphics producer Kev Choice; co-vocalist from U.K. soul sensation Loose Ends, Carl McIntosh; Jean Baylor of Zhane; Craig Love, producer for Usher; soul powerhouse N'Dambi; along with Frank McComb, who has a debut of sorts himself on EVERLASTING behind the keys. 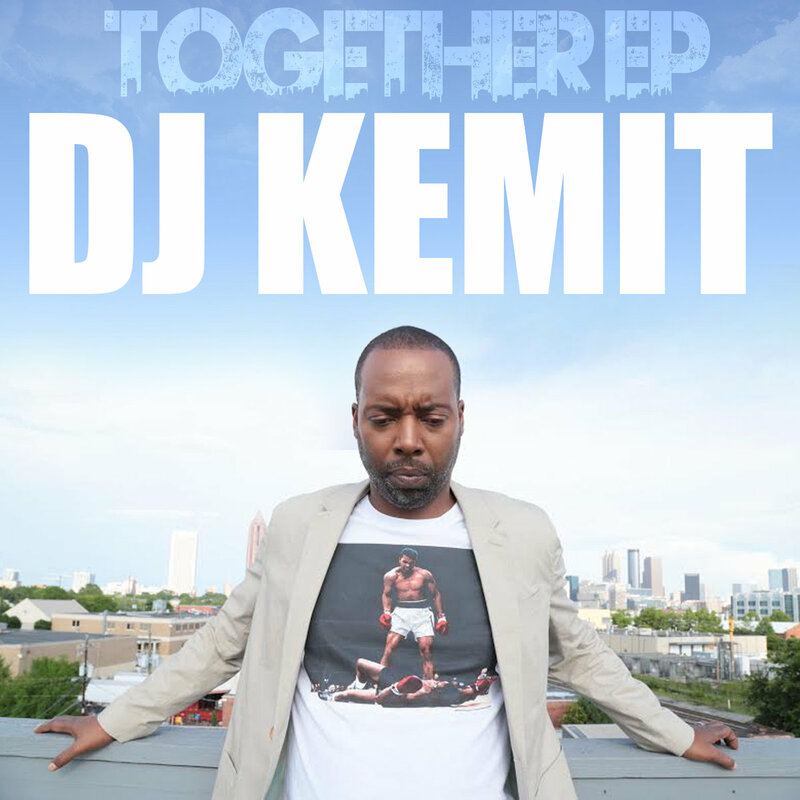 While EVERLASTING recently has taken center stage, DJ KEMIT has long been a sought-after producer for remixes such as "Still" by ERRO, "On the Beach" by Leon Ware, the Billboard hit song "4Evermore" and the remix of "4evermore" for David's EP "Location, Location, Location." DJ KEMIT is also internationally known for his production work as one-half of KemeticJust. The duo's two dozen releases -- on labels such as King Street, Nite Grooves, Yoruba Records, Giant Step, Diaspora Recordings, Wave Music, Bombay Records and Play Records -- are still praised within the underground house music scene. KEMIT left hip hop group, Arrested Development in 1996, but not without recognition for his production work on the group's Grammy-nominated second album, Zingalamaduni. Tastemakers and household names such as Prince, Janet Jackson, Steve Harvey, Jane Fonda, Jermaine Dupree and Bryan Michael Cox have put KEMIT on the short list of the world's best DJs for nearly 20 years. And you've likely attended or heard of the legendary FunkJazz Kafe, the National Black Arts Festival, the Soul Train Awards, House in the Park, Roy Ayers, Robert Glasper, Musiq Soulchild and Blackstreet – all projects, parties or artists that KEMIT has graced. KEMIT is instrumental in guiding the house, soul and hip-hop scenes in Atlanta – and beyond. It's an important task given the city's influence on American music everywhere. When people look to Atlanta, they have to look to KEMIT – and based on his superlative body of work, past and future, things are looking good. Published by Kemit Muzik BMI, Love Yourself Publishing BMI and Ausound Music BMI. Published by Kemit Muzik BMI, Kayes Dream Publishing ASCAP and Ausound Music BMI. Published by Kemit Muzik BMI, Josh Milan Songs BMI and Ausound Music BMI. All music recorded by Dj Kemit at Kemit Audio Labs Atlanta, Ga.
"Buckle Up," "Like This" and "Together" were mixed and mastered by DJ E-Clyps at Area 51 Studios. "Confession" was mastered by Adam Cruz at Ebbnflow Studios, Bloomfield, NJ.